Rafael has over 18 years of experience assisting sovereign and sub-sovereign clients implement liability and risk management strategies aimed at optimising debt service profiles. In recent years Rafael has worked closely with the Authorities in Antigua and Barbuda, Barbados, Iraq and Liberia in addressing rising public-sector debt challenges. He also advised the governments of Jordan and Peru on implementing ground-breaking buy-back operations with transformative effect on overall credit standings. Most recently, he advised a group of creditors on the settlement of their claims on the Government of Belize as well as several Eastern European state-owned companies structure the viable financing of complex infrastructure projects. 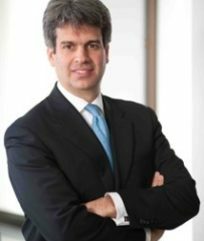 Before joining forces to establish Newstate, Rafael spent fours years with Houlihan Lokey and five years with UBS Investment Bank advising governments and central banks on an array of risk management issues as well as yield curve optimising strategies. Additional clients include the governments of Brazil, Ecuador, the Dominican Republic, Iceland, and St. Kitts and Nevis among others. Rafael spent over eight years with the Federal Reserve Bank of New York where he performed several finance related functions. He left as a senior trader-analyst in the Foreign Exchange Department of the Markets Group, where he was responsible for implementing US monetary policy directives and managing the US monetary authorities’ yen reserve portfolio. He also reported on international monetary and interest rate developments to the Federal Open Market Committee (FOMC) and senior Treasury officials. Rafael is a frequent speaker at international conferences. He has also served as Chairman for the annual Debt Management seminars organised by Central Banking Publications held at Cambridge University since 2011. Rafael received his undergraduate degree from Vassar College and his MBA from Columbia University. He is a native Spanish speaker and is fluent in English and Portuguese.